The road shoulder is a dangerous, even deadly place. 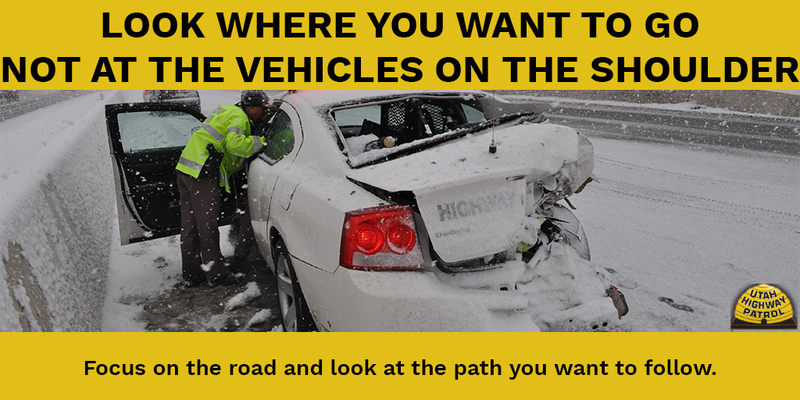 And that’s where our troopers often find themselves – whether they’re helping stranded motorists, handling crashes or working a traffic stop. 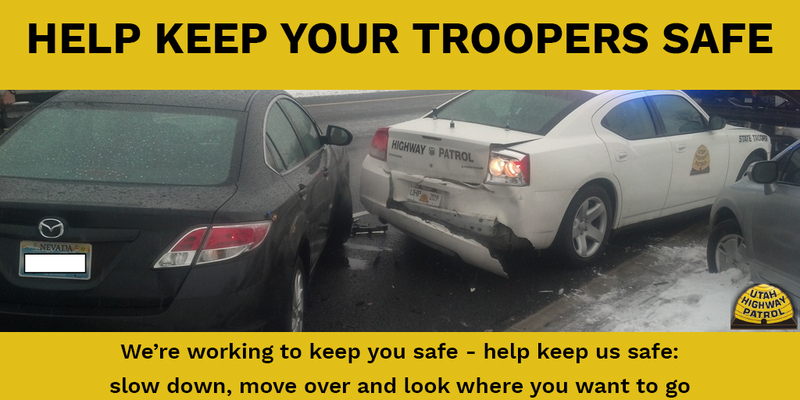 Every year, troopers here in Utah and around the country are hit and injured – and sometimes killed – when they’re working on the road shoulder. The other people stopped on the shoulder can be hurt, too. See it and believe it: this video shows you how dangerous the side of the road can be. These crashes are preventable. Even in bad weather conditions. 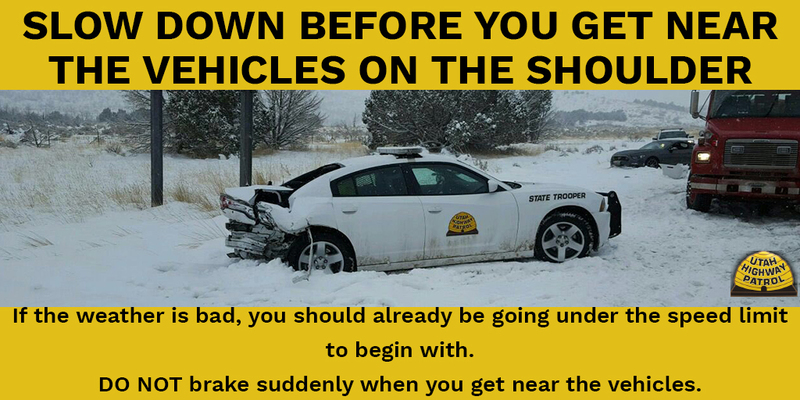 Follow these steps to help your troopers get home safely to their families. 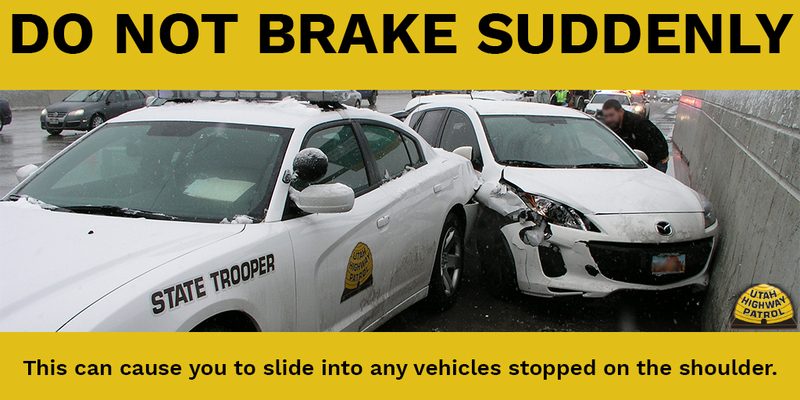 Don’t slam on your brakes. 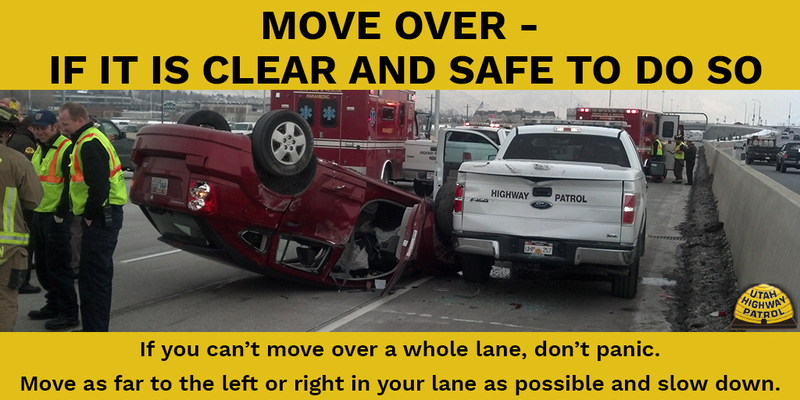 Look where you want to go, not at the vehicles on the shoulder. 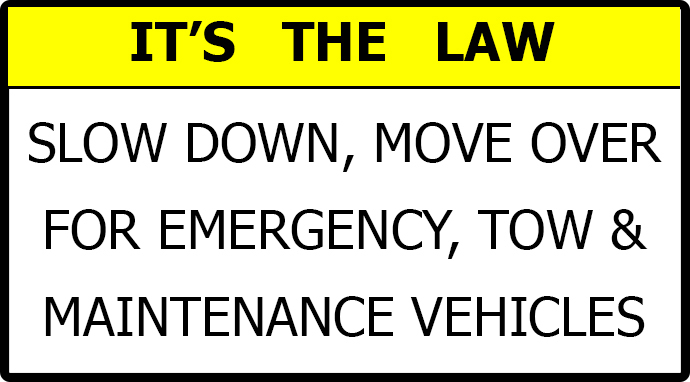 To help protect troopers, tow truck drivers and others on the road shoulder, it’s the law to slow down and move over. If the compilation of road shoulder crashes you saw in the video above didn’t convince you of the dangers of the side of the road, here are some additional, more recent videos that show you how frequently this happens. 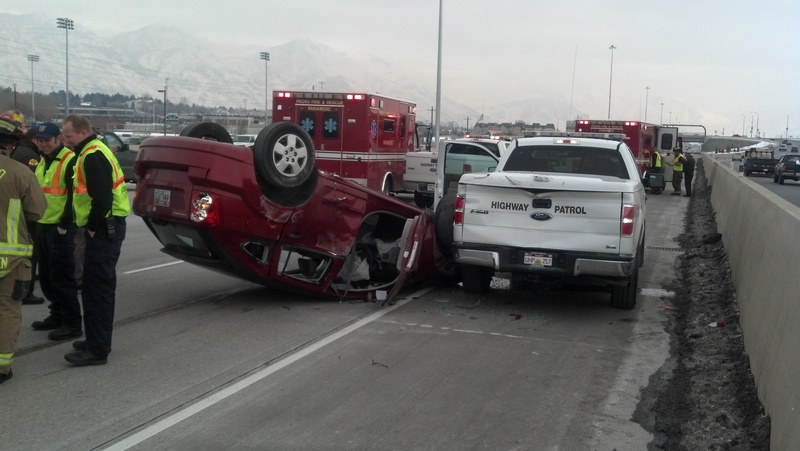 Please, when you see flashing lights on the side of the road, slow down, move over and look where you want to go.